Aigars Bikše’s work The Red Slide can be viewed in Manila Biennale – Open City 2018 in Manila, The Philippines. 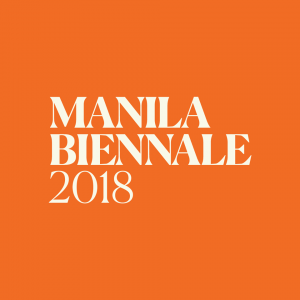 Manila Biennale is an art festival oriented towards urban development that has gained prominence in the region of South-East Asia within the first year of its operation. Over 50 international participants have displayed their work in Intramuros, historically old and culturally significant part of the city. This Year’s theme Open City is both – a tribute and a commemoration. It honors the emergence of the region of Intramuros, built during the reign of Spain and considered to be the birthplace of the local culture. At that time it was a lively port, which had thus opened itself up to the outer initiatives, influences and people unlike the vast majority of the surrounding areas. Meanwhile it serves as a reminder of the happenings of the World War II and the destruction of Intramuros. Particularly on December 26, 1941 the city – colony of the US at that time – was declared an Open City. It came to be positioned as non-military city and was cleared of all military presence. War period remains that of unease and hardship for the inhabitants of Manila. There is yet an ongoing debate pledging and convicting different political powers and military interventions in the city of Manila during World War II. The US tends to be seen as the liberating superpower in this reference both – locally and internationally – while the Japanese are condemned for their extensive occupation of the city. Apart from this prevalent perception, other versions and interpretations persist and sometimes find their voice through new artistic and social initiatives. 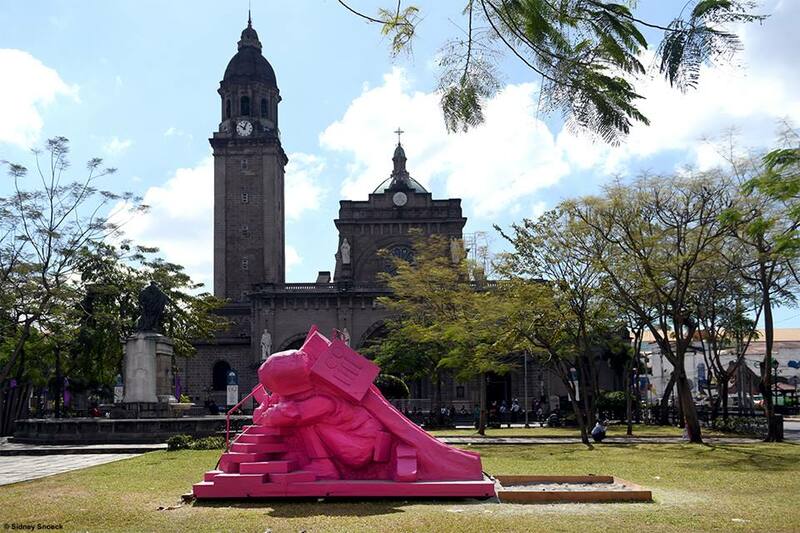 This urban intervention – a bright red slide with a fallen soldier constituting its base -The Red Slide is located in the central square of the old city next to the Cathedral of Manila. 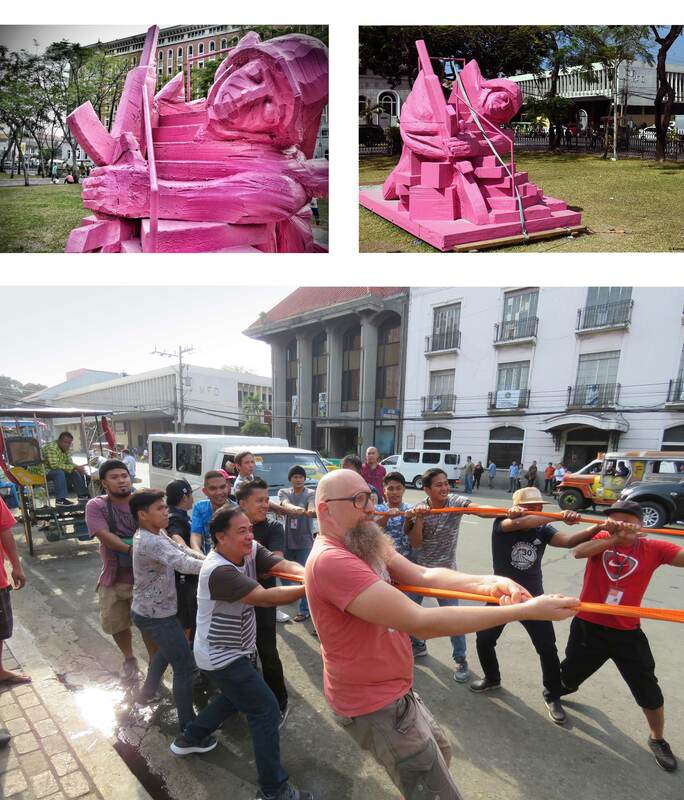 It has come to be one of the most prominent and eye-catching objects in the context of Manila Biennale and continues to attract a constant flux of people. Apart from intriguing the masses, the work is aimed at raising awareness about the past and confronting the tensions of today. The piece of art is surrounded by various historical interpretations that overlap and become juxtaposed.